In the previous article, we have learned about how to create a page (view part of a web application) by bobril. In this article, we will learn how to add an application logic by bobflux. Bobflux is a pure functional frontend application architecture based on flux and inspired by reflux and redux. 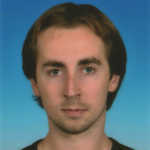 It is written by Karel Steinmetz (software developer in GMC Software Technology). For more information, see project pages. We will create a simple TODO application. At first, we need to have prepared bobril-build on computer. Follow the steps in the previous article to perform bobril-build installation. Now you can start a new project again or use a predefined skeleton simpleApp from bobril-build github repository. The following example will use it. To get the final code, download the full sample. At first, we need to prepare application state, its cursor and function for creating the default state. State is a place where to store application data. The difference between a state and a context is that context stores the data needed only for a component itself and the rest of an application doesn't care about them. It is e.g. an information whether a component for section is collapsed or not (when you don't need to manage it from the outside). In our todo application, we will need to store the list of todos and currently written name of todo so we have to define ITodoAppState for these data. Cursor defines a path (key) to the state in an application state. In our sample, we will work only with the root application cursor so the path in todoAppCursor.key is empty. For the sake of simplicity, our example uses only the root todoAppCursor. Now, we have prepared the application state that can be modified by calling actions. The changeTodoName action is defined by the function createAction from bobflux which accepts the cursor of a state which it will change and the handler which will be used for the change. In the beginning of the handler is a check whether we want to change something or not. If not, then we will return the original instance of the state. If yes, then we will create a shallow copy of the state and return the modified copy. Bobflux follows the principles of immutability to keep the best performance. It compares an input state with an output state and if it is different, then it calls b.invalidate to re-render the view. It is necessary to take care about the copied object properties. If there is some referencial object like an array todos in the addTodo action, it has to be copied as well. The components definition is not the subject of this article, so you can use definitions in the attached source code. You can see that a page resolves the current application state by the function getState with defined todoAppCursor. It can be done this way because bobflux initiates rendering of the page on every change in the state. The textbox and button components use the defined actions in their onChange and onClick callbacks so the user interactions from view initiates the action calls. And finally in the end of the render function is a mapped array of todos to 'p' tags with todo names. Now, we are able to open the application in a browser and see how it works. Yes, it is really that simple. To debug the state history, you can also try the bobflux-monitor (see the project pages or the sample). Bobflux also contains few performance helpers like createRouteComponent to optimalize rendering of component or provident the state in context etc.